Before-and-After School Care is available at Resurrection Catholic for families who desire both Catholic school education and supplementary day care in a Christian environment. ACE provides care, supervision, and recreation in a safe and structured environment. It offers a variety of activities that include arts and crafts, inside and outside recreation, games, stories, and snacks. Time is also set aside for the children to quietly begin their homework. A weekly rate is available to all students who attend consistently 5 days a week. In the event that the student's schedule changes and they are no longer attending ACE on a consistent 5-day-a-week basis, the rate will be adjusted to a daily fee. No price adjustments will be given for activities. If your child attends on a day they have an activity, they will be charged a full fee for that day. 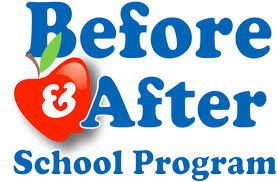 Mornings 7 a.m. to 8 a.m.
After school (full days) 2:45 p.m. to 6 p.m.
After school (half days) 12:30 p.m. to 6 p.m.